The Public Service Coordinating Bargaining Council (PSCBC) wishes all of the 796 542 full-time and part-time learners who are expected to write their National Senior Certificate commencing on Monday, 22 October 2018 and will conclude on Wednesday, 28 November 2018. 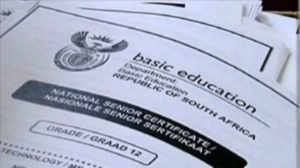 This is a momentous time for all the matric learners across the country as it determines their journey going forward. It is also an essential time to all of the influential and ever committed educators who have worked so hard throughout the year to prepare these learners for an important time such as this. We also wish to commend the parents and the community at large for supporting and believing in these learners. Learners, now you have the power to determine your future because the power is in your hands. The teachers, parents and the community have done all they can to get you to this far so study wisely, continue to be diligent and never loose heart. The PSCBC would like to make clarion call to all the teachers and parents to continue supporting the learners during exams and after the announcement of results. 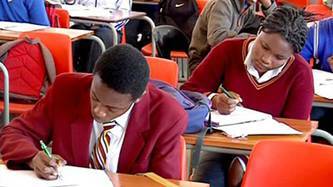 The PSCBC would like to extend its well wishes to all the 798 289 full and part time learners who will be writing their 2017 National Senior Certificate (NSC)/Matric examinations. This is the final hurdle for learners to complete their secondary schooling career, so learners must aim high and make us all proud as a country. This is also a milestone for all educators, parents and administrators who have dedicated many years towards this cause and thus the PSCBC would like to wish them all every possible success. Learners, the exam is your gateway to your future and it is now all in your hands, make the best of it, study wisely, work diligently and apply your mind when writing your exams and you will definitely achieve success. Many of you will continue with your tertiary education and many will progress to the world of work, we look forward to the new batch of matriculants that will usher in fresh thoughts and ideas in order to build our democracy into one of the most progressive nations in the world. We all look forward to you attaining good results however the Nation will embrace you even though you do not attain your desired results. There is no need to feel rejected or despondent as we are all children of God. We wish all our grade 12 learners success and a prosperous future. Pretoria- The Public Service Co-ordinating Bargaining Council (PSCBC) has been monitoring the ongoing labour dispute, regarding working hours, between the Department of Home Affairs and Organised Labour in the General Public Service Sectoral Bargaining Council (GPSSBC). It is the understanding of the PSCBC that a strike notice was served by the Public Servants Association (PSA) commencing strike action on the 19th June 2017 and have also noted from a press releases that the National Education Health and Allied Workers’ Union (NEHAWU) have indicated to serve their strike notice on the Department by the 26th June 2017. The functions of the Department are critical in ensuring the stability of the Country at amongst others the ports of entry, registration of births and deaths of citizenry and other critical functions. Strike action in the Department will have a serious impact on the public service and it will be in the public’s interest to continue to attempt to resolve this matter. 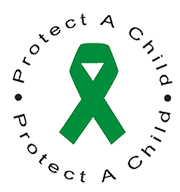 Parties agreed to mediation under the auspices of the PSCBC to assist in resolving this matter. Trade Unions in a mediation process on the 15th June 2017. From the engagement, parties have agreed to settle this matter, in that the department is to withdrawn, with immediate effect, the circular that unilaterally introduced a new shift system for weekend work. The Trade Unions have agreed to withdrawn their strike notice and therefore suspend any intended strike action. Parties have further committed to engage in a process of negotiation on working hours in the Departmental Chamber of the GPSSBC. The PSCBC would like to thank the parties to the dispute for their positive contributions, commitment and dedication in concluding this long standing matter. The National Education Health Allied Workers’ Union (NEHAWU) will be engaged on a four days national congress starting from the 26 – 29 June 2017 at Birchwood Hotel Conference Centre, Boksburg. This is their 11th National Congress. The congress is hosted under the theme “Strengthen workplace organisation, deepen class consciousness and advance internationalism”. The national congress is the highest decision-making body of the union and has powers to adopt new policies, resolutions and also elect new National Office Bearers [NOBs]. The congress is attended by delegates drawn from all structures of the national union and delegates will receive progress reports on the implementation of the 10th national congress resolutions held in June 2013. At the end, the congress will be expected to map a way forward for the next four (4) years. The Public Service Co-ordinating Bargaining Council (PSCBC) wishes NEHAWU and its members all the best as they begin with their National Congress. We hope that the outcomes of the congress will be beneficial to the labour environment and the upcoming negotiations. The National Child Protection Week (CPW) commences annually from the 28th of May to the 4th of June to raise awareness for the rights of children enshrined in the Children's Act of 2005. This programme has a special focus on issues facing South Africans under the age of 18. The Department of Social Development has launched this year’s National Child protection week under the theme “Lets us all Protect Children to Move South Africa Forward”. The Department's campaign will seek to raise awareness and educate society about the rights of children.